Those people who still consider Carmel just a place for the 55+ crowd, think again. In just the span of a few short years, the famous town-by-the-sea has gone through a makeover nobody saw coming. Swimming nicely into its rushing creative stream is a bevy of wine bars and new, dynamic restaurants. And ... some old-timers that managed to re-invent themselves. Having lived in Carmel for some time over the last decade, I never tired of its breathtaking beauty, European village-like shops and the memorable dining experiences. Or, it's best-kept secrets--that the Carmelite Monastery is actually a better experience than (Okay I'll say it), the Carmel Mission. Or that that Little Napoli is more festive than, say, The Hog's Breath, which was made famous by Clint Eastwood. Truth is, you can load all of the things that make Carmel special and weave it into a hefty travel book. But for now, take note of five unforgettable places that stand out considerably. It's good to be 50. And by the looks of it, Quail Lodge (pictured above) has plenty to show off now that it has hit the half-century mark. One word: Makeover. Quite possibly one of the more inventive reboots come along in some time, Quail Lodge's impressive resort-wide $28 million renovation has been capturing some well-deserved attention. 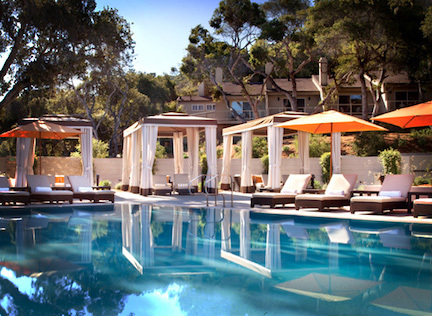 The 93-room hotel (77 guestrooms and 14 suites) reopened last year to terrific fanfare and this year's 50-year anniversary offers another opportunity to appreciate the haven, which is several miles from Carmel in sunny Carmel Valley. 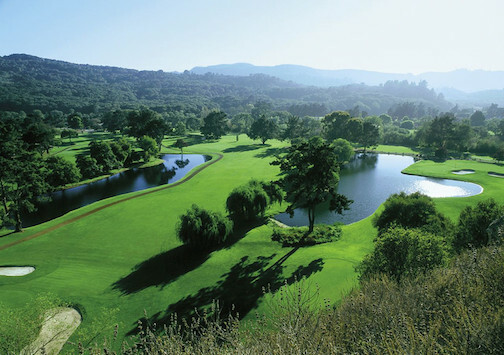 The resort, tucked away on about 850 acres, offers a number of walking trails, a premier, 18-hole golf course and even a Land Rover Driving School for adventurous off-road excursions. Things that stand out: the new lobby--the front desk was moved and modified, and other adjustments were made, including the addition of an adjacent lounge complete with a large-screen TV that showcase various events, factoids, and other televised bits of local information; the rooms and suites--all of them are considerably spacious and boast a California ranch-style décor; Edgar's Restaurant--operated with exquisite creative flair by chef Kenneth Macdonald, it's worthy of high marks. Check out some stellar promotions running through the end of March. I'd be surprised if travelers don't find themselves making repeat visits to this memorable Carmel portal. Conveniently perched just blocks from Downtown Carmel, not only is The Vagabond's House in an ideal location, but it also happens to exude undeniable charm. With its central courtyard and alluring lobby--complete with piano, fireplace and other fun collectables on display--it boasts a kind of addictive comfort from which it is hard to pry oneself away. True, one can say that about plenty of inns--we all love to travel, after all--but there's something magical here. A winning redesign of some of its rooms last year doesn't hurt, either--smart, efficient (nice floor heating in the bathroom) and cozy, its décor is something to celebrate. (How can you not dig a curtain in the shower with excerpts from "The Raven" running down it?) Beyond that, the backstory of this place is spirited. Famed poet Don Blanding loved Carmel and stayed for months at a time, writing away. By the late 1920s, his book with a poem "Vagabond's House," soon became a bestseller. Flashforward to 1941 and the owner at the time, Charles F. Rider, who was also a carpenter, expanded the original building, and built apartments. Later that decade, the guest apartments were renamed Vagabond's House Apartments, right after Don Blanding's poem. That creative, soothing spirit lingers on here. This one's a gem. 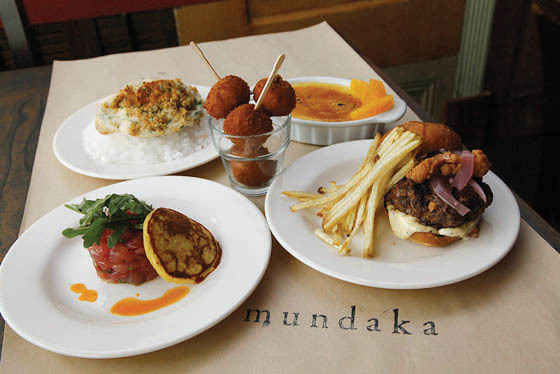 Behold Mundaka. Frankly, it's one of the hippest culinary hotspots to hit Carmel in years. Specializing in Spanish-style tapas and--what's this?-- a DJ on hand during the later hours, it stands out for being both bold and diverse. (A DJ in Camel? It's true.) Much of the kudos can go to chef Brandon Miller, whose verve and creativity here are just a hoot. There's too many notables to list but whatever you do, savor these three: 1. Bravas (fried potatoes); 2. Pato (duck leg confit, bacon leek puree); 3. Bomba (house made sausage, mashed potatoes, mojo rojo). A feast on so many levels.